This is the 4th version of the history of Doña Hortencia Salas Benedicto National High School (DHSBNSHS) as compiled and updated by Engr. Marlon Rojo in his "Glorious Excellence, Boundless Gratitude." LCPHS/LCHS/LCCHS/DHSBNHS has forever changed the lives of the countless young men and women who had gone through its portals and taken precious innumerable steps in its hallowed grounds. Their fateful steps, which left footprints of priceless memories and legacies, became building blocks of achievements and continued to reverberate far into their future lives, reminding, reassuring, and encouraging them that they could scale the challenging heights of real life. Through the years, the high school has reached summits of recognition and become known by the fruits it carefully and thoughtfully brought forth. The alumni have gratefully acknowledged the vital role the high school played in their crucial years of awakening; they have endeavored and continued to match with acts of excellence, dedication, service, and generosity the incalculable gifts of learning their Alma Mater had showered upon them. It all began after the liberation of the Philippines by the American forces from the Japanese invaders in 1945. The entire country was filled with joy and hope the newfound freedom caused. But the Filipinos, although then free, still felt deeply the ravages of war; edifices were vastly destroyed and school buildings were hardest hit. The strong clamor of students for admission to all the public and private schools in the country added to the enormous postwar problems. It was in the first half of 1947, barely two years after the Second World War had ended, when Municipal Mayor Democrito Canlas of La Carlota rose to answer the call of the times. He spared no efforts in making active representations for the opening of a regional high school to the Department of Instruction, as the Department of Education was then known. He approached Congressman Carlos Hilado, Governor Rafael Lacson, and Senator Ramon Torres for their official blessings and financial support. Justice of the Peace Felix Amante and all local officials ably assisted him as well. In July of that same year, the Bureau of Public and Private Schools gave its anticipated stamp of approval, and the La Carlota Provincial High School (LCPHS) was born. Mr. Luciano P. Lopez, as principal, twenty four teachers, and 489 students were the pioneers who breathed life into the formal operations of LCPHS. Classes were opened for first, second, and third year level students and housed at the 2nd and 3rd floors and roof garden of the Presidencia Building, the main and middle building of the present city hall. At the front footsteps of the building, the first ever commencement exercises took place in March of 1949. Seven months later, in October, classes were transferred to the Main Building, which had just been completed and financed from the pork barrel funds of Congressman Carlos Hilado, in the new high school site which remains up to now the high school campus. The following year saw the construction of other buildings, the Gym, the Shop Building and the HE Building, all using the same congressional fund source. The area acquired for the high school was reportedly the largest among those obtained for all public high schools in the Philippines. The campus consisted of seventeen and a half hectares, twelve of which was possessed through expropriation of part of the Uriarte Hermanos owned Hda. Fe, and the remaining five and a half through the generous donation of Don Ciro Locsin from part of his Hda. Canman-ug property. In the expropriation proceeding, Provincial Fiscal Jesus Rodriguez capably argued for the municipality of La Carlota. The expropriation proceeding initiated in 1947 was never officially concluded until 1978, when Mr. Juancho Uriarte returned from Spain and City Mayor Luis Jalandoni, Jr., Secretary to the Mayor Marcelo Aguirre, Jr., and Fiscal Prospero C. Rojo, Sr. sat down with him. The final arrangement was to condone the balance of P13,000 in favor of the City Government out of the 18,000 that was due the Uriarte Hermanos back in 1947, when only the initial payment of P5,000 was made. The lot was then transferred under the name of the city government. The first official school organ, Sugarlandia, came out twice in SY 1948-1949. It was replaced the following year by The Periscope, the official school organ up to this day. Fortunato Tingson, Jr. (Class ’50), who was the pioneering editor-in-chief of both publications and who would later become La Carlota City Fiscal, won third place in editorial writing during the Philippine Public Secondary Schools Press Conference (PSSPC) held in Baguio City on March 27-29, 1950. The achievement shot LCPHS into national prominence barely three years into its existence. In 1957, the school again hugged the limelight when Vilumin Benedicto (Class ‘58) became its first American Field Service (AFS) scholar and spent a year in Pennsylvania, USA. Twelve others also earned the same distinctions: Eva Bibaoco, Class 1959; Sol Ressurreccion Nuniedo, 1961; Ofelia Debulgado, 1962; Ingrid Regner, 1963; Dinah Bibaoco, 1963; Arturo Valdez, 1965; Elias I. Lapatha, 1965; Nida Ortega, 1966; Leilani Uriarte, 1967; Aurelio Valdez, 1970; Jarry Juance, 1974; Krisna Ocong, 2008. Each travelled to a different part of USA to learn firsthand the American culture and served fittingly as goodwill representatives of our country. AFS was a nonprofit organization that undertook an international student exchange program. An event, which twice more would happen in the life of the high school so far, took place for the first time in 1952 – a change in name. The five year old LCPHS became La Carlota High School (LCHS), signifying its separation from the province of Negros Occidental. About fourteen years later, the municipality of La Carlota became a city in January 2, 1966. 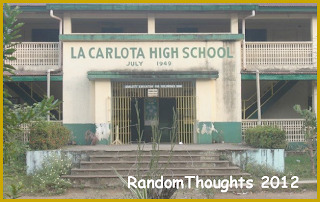 With the change in La Carlota’s political status, LCHS became La Carlota City High School (LCCHS). From then on, the City of La Carlota assumed the school’s maintenance and operation. In June 24, 1983, when Batas Pambansa Blg. 545 authored by Assemblyman Alfonso Garcia of the Interim Batasang Pambansa was approved, LCCHS was nationalized and became known as Doña Hortencia Salas Benedicto National High School (DHSBNHS). The conversion was endorsed to the Batasan Pambansa by 3rd District Congressman Jose Varela. The city schools division and city officials under the administration of Mayor Luis Jalandoni, Jr. worked together to realize the project. It was considered a significant achievement. Selected by the Bureau of Public Schools (BPS), LCHS earned a distinction as a Pilot High School for Vocational Education and became a recipient of ICA-NEC vocational tools and implements donations in the early 1960’s. It garnered another distinction, in the mid-sixties, when the BPS approved the opening of the Night High School classes, the first of its kind among public high schools outside of Manila. The Night High School, which accommodated the needs of day workers, was the brainchild of City Vice-Mayor Prospero C. Rojo, Sr. (Class ’52) and was painstakingly followed up for its approval in Manila by City Engineer’s Office Personnel Officer Mr. Jose Flores. August of 1964 marked the first time a change in leadership took place at the high school. Recognized for his exemplary 17-year-service as Principal of LCPHS/LCHS, Mr. Lopez was promoted to Division Supervisor of Secondary Education. Prior to his promotion, he was sent to Jakarta, Indonesia as the country’s official delegate to the GANEFO. Mrs. Fortunata Cachopero took over as Principal. During her term, the Elizalde Science Hall was constructed out of the income taxes paid by the Elizalde and Co. thru the united efforts of the city officials under the leadership of Mayor Jaime Mariño. She occupied the office until October 1965, when she was transferred to Negros Occidental High School (NOHS). When she left, Miss Fe T. Martinez was designated Teacher-In-Charge. In January 2, 1966, Mr. Jose M. Varon was appointed Principal. He was later promoted City Superintendent of Schools of La Carlota in 1967, and Miss Martinez was designated In-Charge of the School. She was granted a scholarship in the University of the Philippines, and Mr. Gil Blanca, beginning school year 1968-69, took over her position. The sixth turn-over of the responsibilities of the high school head happened in July 1969, when Miss Pacita G. Aplaon (Class ’49) briefly became In-Charge of the School. Miss Martinez resumed her position as In-Charge of the School on January 4, 1970, having finished her MAT in UP. She became Principal of LCCHS in February 1972. Her administration ended on June 30, 1976 and was characterized by greater advancements in faculty development and better infrastructures. She was admired by her teachers and employees; she won their loyal cooperation. On July 1, 1976, Mr. Lemuel I. Lapatha assumed the Office of the Principal and, since then, LCCHS underwent significant physical transformation. The sports complex was constructed, and Area III, for the first time, was held at the high school in 1977. LCCHS won the championship award. Then the 10-room, two-storey building was built, financed by Ambassador Roberto S. Benedicto and named Doña Hortencia Salas Benedicto Memorial Hall in honor of the ambassador’s mother. The 90’s brought about continued infrastructure development and progress; the Emergency Support Building, the Jamandre Building, the two-storey Values Education Building and the DECS I and II Builidngs were constructed. Mr. Lapatha served the high school for almost 27 years when he retired in April 2003, becoming the longest serving principal the school ever had. Dr. Nenita P. Avanceña (Class ’56) took over the principalship and served for more than two years at the end of which she also retired. During her brief stint at the helm, Dr. Avanceña was able to realize her priority projects with the all-out support of City Mayor Jeffrey Ferrer and the rest of the local city officials. These projects included the P2.4 million Covered Court, the front school fence, and the complete repair of the roof of the DHSB Memorial Hall. The old Gym’s roof was also repaired, its interior repainted. The old landmark Gymnasium is now gone. In the spot where it was once upon a time, a new Gym under the operation, control, and maintenance of the city government now stands. Under her term, PTCA’s 2003-2004 and 2004-2005 constructed concrete bleachers in the Covered Court and a comfort room. The Class of 1954 also donated comfort rooms for boys and girls. Mr. Denny Castañeda (Class ’67) took the place of Dr. Avanceña when the latter retired in June 2005 and became the seventh school administrator to be officially designated as School Principal. He is up to now at the forefront of efforts aimed at bringing the high school to greater heights. His initial endeavors resulted in the renovation of several offices, including that of the Office of the Principal, Guidance Office, and many others; these offices were repainted and air-conditioned. Under his term a two-classroom building was donated by Luis Tiu De Jesus of the Chamber of Commerce. It was turned over to the school on December 10, 2008. The decades of the 1960’s and 1970’s heralded the emergence of high caliber athletes who won medals in regional, national, and international athletic competitions, and LCHS/LCCHS became a by-word in the field of athletics. Raymundo Juanero and Juanita Grupe, who both qualified in athletics for the ASIAN Games, were the athletic pioneers who set the standard of performance for the succeeding super athletes the high school ever had. The great athletes of the school competed in the ASIAN Games, the Public Schools-Interscholastic Athletics Association (PSIAA), National Open, National Interscholastic, and West Visayan Meets, and the Palarong Pambansa, which was the successor to the PSIAA Meets. In the decade that ended in 1970, the following stars in the firmament of sports glowed brightly: Elena Roma, Elisa Sauce, Brigido Tondo, Susan Pernito, Donato Torrefranca, Mary Jane Gan, and Flora Sauce. They competed in the National Open and PSIAA Meets and earned meritorious achievements. The Palarong Pambansa was first held in 1974, but it was not until the 1979 Palarong Pambansa when the LCCHS athletes first saw action. Greg Bocablo, Manuel Maque, Andresito Bocablo, and Lorna Cardiente were the proud bearers of the high school name. The never ending victories during the ‘70’s proved the prowess of LCCHS athletes. Mr. Gil Blanca and Mr. Ely D. Legada were excellent coaches and their outstanding teamwork made them perennial champion coaches. The school athletes continued to shine and carve names for themselves through the LCCHS/DHSBNHS years at all levels of athletic competitions. They left legacies for later generations to emulate and achievements the school could only be proud of. In 1996, DHSBNHS produced athletes of international fame with the active and untiring support of City Mayor Juancho G. Aguirre. Joebert Jalando-on and Anthony Alvin Katada competed in Table Tennis in the ASEAN Bangkok and brought home 2 bronze medals. In 1997 Sheena Atilano, Leofe Labrador, Jr., Joseph Cabarles, and Carla Yson competed in the ASEAN New Delhi and ASEAN Penang and placed first (twice), second, third, and fourth in their respective events. In the early decade of 2000, several athletes competed and won the ASEAN Games in Thailand, Hongkong, New Delhi, Indonesia, Malaysia, and UAE. Among them were Alyssa Ann Labay, Romela Lagunday, Rubilyn Mapa, and Junica Guba. In the ‘70’s and the ‘80’s, the Preparatory Military Training (PMT) cadets and, later, the Citizen Army Training – 1 (CAT-1) cadets and cadettes found themselves always a bit intimidated by their training. They were tired, hungry, and thirsty at the end of whole-day Saturday instructions, but they showed high morale and discipline and executed smart military bearings. Above all, they enjoyed and kept looking forward to instruction days. It came as no surprise. They, the best cadets and cadettes, were under the competent leadership and instruction of P2LT Ely D. Legada, PMT/CAT-1 Commandant, under whose command the school’s performance at the Annual Tactical Inspections was unmatched for over a decade. The Persicope, under the scholarly guidance of Mrs. Marcelina S. Cuadra as its adviser, was thrust into the limelight when it won 9th place in feature writing in the National Secondary Schools Press Conference in Surigao City. It also won a prize in Lay Outing. In 1977, Dr. Avanceña took over the advisorship, a position which she held for 22 years. During her excellent supervision, the school paper ended up as a recipient of several awards: 1st Place in Lay-Out, 4th place in News Page, 5th place in Features Page, 6th place in Development Communication, and 7th place in Science Page. The Editors-in-Chief likewise won top places in the Regional Secondary Schools Press Conferences which enabled them to participate in the NSSPC. Former editors of The Periscope later made impressive accomplishments and became its pride: Fr. 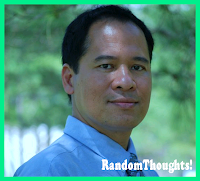 Gilbert Luis Centena, O.S.A., who won the Don Carlos Palanca Memorial Awards for Literature, considered the country’s most prestigious award in literature, for his book of poems; and Joy S. Cuadra, who became Champion in Prepared Speech in the Toastmasters International Overseas Contest held in Atlanta, Georgia, USA participated in by contestants from Australia, New Zealand, England, North America, and Philippines. Ang Banyuhay, the official school publication in Filipino, was launched in 1994, with its maiden issue under the able advisorship of Mrs. Wilhelmina Katada and Miss Juana Cabuguason. Like its sister publication, The Periscope, it produced individual winners in the Regional Secondary Schools Press Conference. In various other highly competitive local and international arenas, the students and teacher coaches of the high school had demonstrated their superior quality. Nena Kristine Castillo was Region VI’s contestant to the National Pop Ed Quiz held in Manila. She copped the 7th place. Miss Febe Flores, her coach, was declared Regional Champion Coach. The Sigma Mu Epsilon, the math and science club founded by Mr. Lapatha, produced TOYS awardees who won major prizes in the Math-Science Fairs and Investors’ Week Expositions. They were Alton Malacapay (1981-82), Wilson Ginete(1982-83), Genalyn Ginete(1985-86), Romeo Buligan, Jr.(1987-88),and Bena Lee Aplaon (1989-90). It was noteworthy that the Regional Science Fair and the Regional Secondary Schools Press Conference were held in the DHSBNHS Campus for the first time in its history. In scouting, DHSBNHS had turned out numerous GSP Chief Medalists and BSP Citizen Medal Awardees. Rosemarie Galvan was the recipient of an international travel grant in Hongkong, and Roland Roy Amar of the Ten Outstanding Boy Scouts (TOBS) of the Philipines Award. Janille T. Badillo, a GSP chief medalist, was the lone Negros Occidental GSP representative to the International Challenge Camp at Mount Deogyu Campsite and Moju Resort in South Korea. Mrs. Manuela Pernito was her troop leader. In 2007, Luigi John Carlo M. Suarez won the Organization Award given by the National Collegiate Inventors and Innovators Alliance Lemelson Award Foundation during the International Science and Engineering Fair held at Albuquerque, New Mexico, USA. He, Jane Suede, Charlotte Gamelong, and Virna Joy Cabanero were Life Science teammates who represented the Philippines in the fair. Mrs. Adaiah Opeña coached the team at the national level; Mrs. Bernadette M. Suarez trained her son. In 2009, Charmaine Chavez, supported by teammates Denmark Juance and Kirk Lopez, grabbed third place in the 12th National Intel Philippine Science Fair held at Subic, Pampanga. They were with their adviser, Mrs. Bernadette M. Suarez. In academics, DHSBNHS consistently topped the yearly Regional Secondary Achievement Test. In the 1996 National Secondary Achievement Test, DHSBNHS ranked first among all national high schools in the entire Western Visayas. These were evidence that students had been getting superior instruction and training quality from their mentors. Several attempts had been made throughout the first 43 years of the school’s existence to form the high school alumni association. On May 13, 1990, with the seal of approval of thousands of alumni who gathered and showed their support during the General Alumni Organizational Meeting led by Engr. Marlon G. Rojo (Class ’79) as Steering Committee Chair, the association came into being. Atty. Prospero C. Rojo, Sr. (Class ’52) became its first president. Dr. Amelia Valera (Class ‘57) was elected president in 1997, and Atty. Rex. G. Rojo (Class ’72) in 2006. 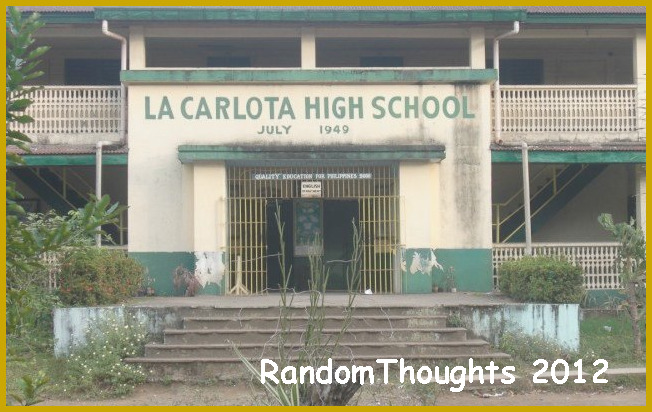 The creation of the association, now known as the La Carlota High School Alumni Association, Inc. (LCHSAAI), marked a milestone in the history of the high school vis-à-vis its graduates. It had become a medium through which the alumni pooled their efforts and resources for the greater glory of their beloved Alma Mater, a way of saying their heartfelt and immeasurable gratefulness. In 2011, Mr. Denny Castañeda energetically reorganized the DHSBNHS School Governing Council. As an offshoot, the LCHS/LCCHS/DHSBNHS Pillars (THE PILLARS) was formed. THE PILLARS was envisioned and expected to effectively address the myriad needs of the high school and push student achievements to heights heretofore unknown. The SGC represented all the school community stakeholders, including, but not limited to, the alumni, local government leaders, parents, teachers, students, school leaders, NGO’s, and religious and business leaders. LCPHS/LCHS/LCCHS/DHSBNHS will forever be at the service of the community, providing its young with accessible and quality education and molding them to become successful citizens of integrity and competence. It will always continue to provide its students with the knowledge, skills, and values with which they will build for themselves a resilient, secure, and honorable future. And, “Ang Lakas at Pagmamahal ng Alumni” will ceaselessly be a source of hope, pride, and inspiration to their Alma Mater. As their Alma Mater nurtured them, so would they, in turn, take care of Her. Long Live and More Power to Our Dear Alma Mater!